Some were but Pooka Williams wasn't one of those. LSU and Nebraska backed off him because of grade issues and Jimmy Smith said that he didn't think Pooka would qualify as of signing day. They got Corione Harris as well, who is a 4 star player and a starter as a true freshman at corner. I recall hearing that he was an academic risk as well. He's gotten a few other guys like Mike Lee (4 star recruit, 3 year starter at FS), Takulve Williams, Daylon Charlot (LA kid, transfer from Bama), Malik Clark (starter at guard), Ryan Malbrough, Tyriek Starks (since transferred), Ricky Thomas (Dutchtown via Blinn JC). The ones who committed but eventually de-committed were: Jamar Chase (LSU), Aaron Brule (Miss State), Nelson Jenkins (LSU), Devonta Jason (Miss St) and Lance LeGendre (uncommitted 2019 recruit). I don't think that Tony Hull would be interested in coming back to Tulane, and I don't know if we'd pay him what he'd want (he's making $400k at Kansas as RB coach). If Les Miles is the new HC, expect Hull to stay at Kansas. He was here in NOLA and we weren't getting quality recruits here from him and his brethren. They thought that beneath them. Plus those he coached here are now out of school so no one to follow him. He hasn't proven himself as a good college coach. We need good coaching and someone who is a good recruiter. It's Willie's job to find him. Some local media members were tweeting that they think Miles would be successful at Kansas. I would like Les, if not for the LSU part. seems like an ok guy, but his style doesn't seem conducive to success at Kansas. Kansas doesn't seem conducive to success at Kansas. Local media think someone who once succeeded at LSU will succeed at a "lesser" school? Color me shocked. he's the type of coach, like jim harbaugh, that likes to line it up and beat you man on man, which is fine if you don't coach at kansas. if i recall, mangino ran a spread. He coached Edward Williams who was a quality recruit (didn't pan out, but was one of our highest ranked signings in recent years)...Devin Glenn has been a 4 year contributor on special teams...I may be forgetting others. I don't know who his "brethren" are or what difference our success or lack of getting recruits from them would make anyway. This is his third year at Kansas, so the current seniors at Warren Easton were freshmen under him. How on earth would you (or I) have any idea if he has or has not "proven himself" as a good college coach? He's barely been there and already been promoted with raises so someone thinks he's doing well. Bottom line though, if TU23 is right and he's pulling down 400k, there's no way he's coming here unless we have a opening for OC. Looking back over 100+ years, I'm not aware of a single Tulane successful team that was not built around local players. Maybe Fritz can prove otherwise but at least that has been the history. So if Hull could help recruit locally and he wants to work at Tulane and Fritz wants him then Tulane will figure it out and I'm for it. As concerns Pooka, the off the field issues (presumably academic) have not been trivial. He sat out the Nicholls game until those issues were "resolved." It is not spitballing to post that if Pooka plays in that game, KU wins and we are not trying to guess if Miles, Frtiz or Lou Holtz is the next KU football coach nor where Hull may be coaching next season. The 1979 team had several key players from elsewhere starting with Roch. Yup, same team came to mind. We should have beaten PSU in the Liberty Bowl too. Cold, wet, and disappointed. There you go, again. Many of our best players, perhaps as many as half, are from outside of LA. King, Hontas, Losman, Laakso, McGee, Griffin, Holman, I could go on. It makes no difference where a player comes from as long as he fits in. Tulane will always have a large percentage of LA players because of proximity--just like every other school outside of Stanford or ND. I am so tired of this argument. Where a player comes from makes no difference. Getting them to Tulane and keeping them there is what does. How do you know he didn't have anything to do with it? Seems likely he could have talked with his parents, facilitated meetings with our coaches, etc. And it's pretty silly to hold HS coaches accountable for things that happen after a kid is in school for years. He was a highly rated recruit, we signed him...it's on us after that. And sure, Glenn hasn't set the world on fire, but he's a good special teams player and all programs need those. So local HS coaches aren't sending us good enough players? It sounds like you agree that that would be a problem...and your proposed solution is to not hire an extremely well regarded local coach? I think if you look hard enough (hint: not that hard at all) you'll see a better solution right there in front of you. Through three years what program has done nothing? Kansas? No kidding, though they're actually winning games this year which is an improvement. And, call me crazy, I don't think the RB coach is the reason they haven't done anything. The Williams situation was very public and it was his parents who drove the train on that one. I'd say I can't believe you'd argue on that one but it's you. The local HS coaches look down on Tulane and will continue to. The history is there and Hull won't change it. Recruiting locally does not require hiring a coach just to recruit the city. We should do better in the state and have a better chance of doing that and that's what we should be looking for. As to Kansas they're winning so much their coach was just fired. Hard to imagine someone going with that argument but again it is you. Hard to believe someone is able to type without being able to read but it is you. LOL. Clearly I read just fine. Gents, Please reread my post. Yes like today, Tulane had in 1979 critically important players from out of state like Hontas, Holman and Murray. (Arguably the best player in Tulane history, Jerry Dalrymple, was from Arkansas.) But 1979 also had important Louisiana players like Reginelli, Alexis, Wetzel, Franz and even Nicki Hall as backup QB. I'm sure those with better memories can name more. Today's squad has some important Catholic league alums like Teamer and Dublin, but the Louisiana ratio of impact players has been declining over the years. That was my point. If Hull or anyone can help us attract premium local players to Tulane as was more the case decades ago, I'm all for it. We win the West? Long shot no doubt! Will Willie stay if we win the West? I would like to see his staff mature ( do a better job with play calling and team discipline) and see him continue to recruit more Div 1 players..before he leaves. We need continuity.. Isn't that why you remind us weekly that Tulane will win again when it recruits Midwest linemen like from well B1G Country? Back to the point, it doesn't matter whether you're selling hammers to a hardware store or recruits to play at Tulane, in general (again in general with exceptions ad naueseum), you will have more success the closer you are to your customers. 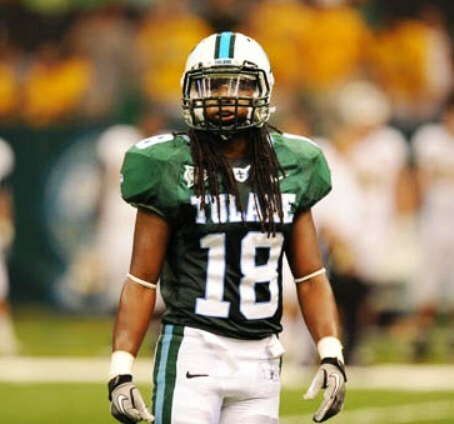 Top end Louisiana recruits who used to come to Tulane now go to LSU and elsewhere. (Yes Tulane did sign them as recently as the 1980's.) So again, if Hull could help with that, I'm for him and it.